I've had this Prima Music Box in my alterable "stash" for quite some time, and thought it would look pretty all decked out in some wonderful Flowers using stamps from Heartfelt Creations. A few weeks ago when I picked up some Roly Rosies by Imaginisce, I also picked up the Petal Roller. I just *love* this little tool! The long end of the tool has a slit, so you just insert your paper (think back to the days of paper quilling), and roll. Now petals are all nicely rolled in no time! I used Red Line Tape to adhere the beautiful Memory Box papers and Grosgrain Ribbon to the Music Box, created my flowers using Heartfelt Creations Posy Patch Flowers, Elegant Single Leaves and Aztec Gold Sunflowers 2 and coordinating dies. I added some Zva Creative Pearls under the flowers and some Rock Candy Stickles to my flowers. 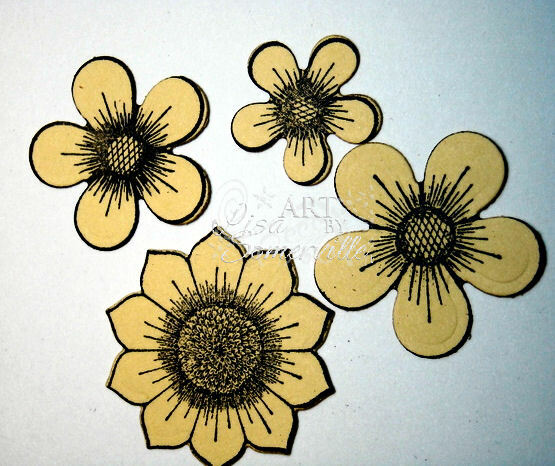 Stamp middle Sunflower image in Black on Rose card stock, stamp Posy (size 3, 4, 5, 6) on Rose; cut Posy and Sunflower with coordinating dies. Curl edges with Petal Roller, layer on top of each other, with the Sunflower as your base. 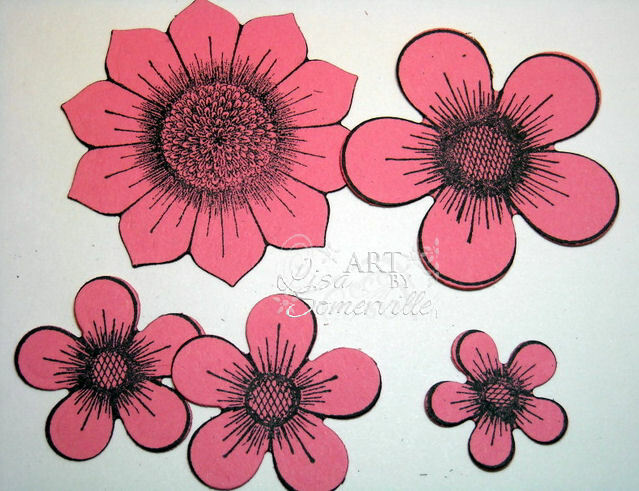 Stamp smallest Sunflower image in Black on Banana/Pink card stock, stamp Posy (size 3,4,5) on Banana/Pink card stock; cut Posy and Sunflower with coordinating dies. 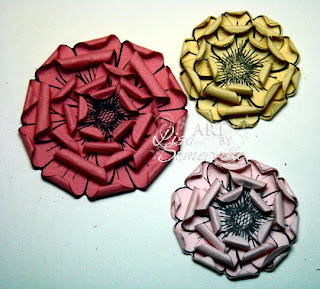 Curl edges with Petal Roller, layer on top of each other, with the Sunflower as your base. Stamp 3rd smallest leaf twice from HCPC 3314 Elegant Single Leaves PreCut Set on Celery, cut with coordinating HCD 704 Perfect Petals Die. Stamp 2nd smallest leaf four times on Celery, then die cut; curl edges with Petal Roller, set aside. Stop by the Heartfelt Creations Blog to see more samples from the Desgin Team and read about their Design Team Call! That's a wonderful spring feeling box. 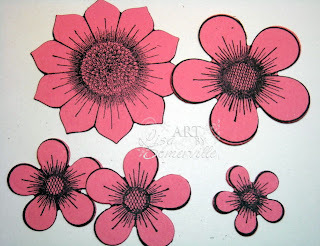 Thanks for the flower tutorial. FABBY GF! These flowers are oh so beautiful, gotta get me that tool. What eye candy. Lisa, the flowers are beautiful and that tool sounds amazing! Love this! Great tutorial on the flowers and beautiful music box. 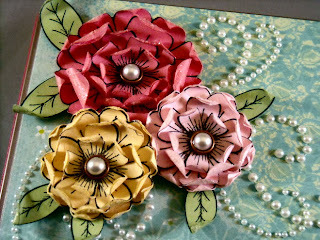 Wish I could find my quilling tool form my quilling days as it would come in handy! WOW Lisa, this is awesome. Great tutorial too. I need one of those tools for sure. Love your colors and the bling and ribbon on the music box, excellent work. Oh Lisa! This is just stunning! Wow!! A true beauty! very cool flowers - very chic looking. I saw the elegant cross you did on the Heartfelt Creations site - absolutely gorgeous. Thank you for sharing. Gorgeous! Love those flowers! thanks for the details on how to create them! This is amazing, Lisa!! So beautiful! 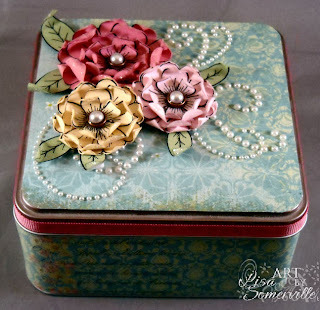 Lisa--Love what you created on your music box--it's STUNNING!